Download an A3 PDF version to print out and display in your classroom! 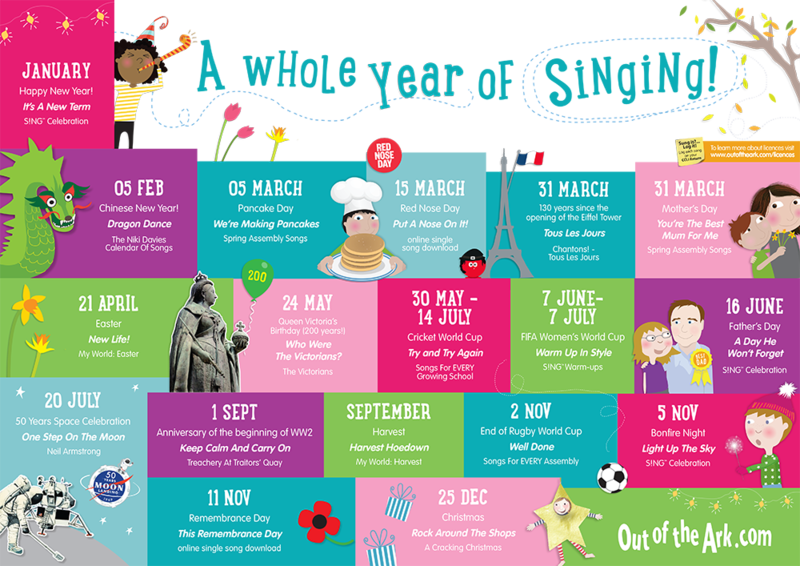 We wanted to celebrate a whole year of singing, so we created this printable version of listed occasions throughout the whole year, featuring the best primary school songs from our collections to go alongside each key event. What better to celebrate these different events throughout the year, then learning about them through the art of song! Our songbook collections feature all curriculum based areas as well as topical issues, to make learning and special events through the school year not only educational, but also enjoyable for everyone involved.